Absolutely everything is a wave of energy and there are many new energies taking place on Earth. We’ve shifted consciousness, but we’re still using old reflections to create our reality. Abundance in all aspects of life is now much easier to achieve in the new vibration and a confidence in our abilities will soon magnify to great levels in the coming years. There will be some obstacles and challenges ahead, but know that the following shifts in our being are happening right now as all humans are born into spiritual wealth without practice. 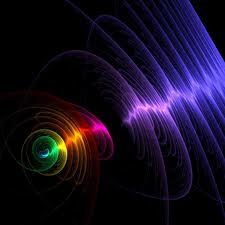 Vibrating frequencies build a virtual construct that makes you think you are in a physical world, but you are not. You are living in a holographic universe which is an illusion – so well designed, that only the highest beings of light can see it for what it is. This is your destiny, but now you will continue to play this game called Earth at a level never played before. You are still playing with three dimensional rules in a fifth dimensional world, but you’re quickly learning how to make the transition by shifting energy. Think about all the areas of wellness, whether they be physical, mental, social, lifestyle, morals, the spiritual aspects of life (e.g. new age, Western religion, Eastern spirituality)… they are all enveloped and affected by energy. How you think, feel and act is all energetic. Right or wrong, black and white, good and bad don’t really exist, but we still need the perception of duality to continue the energetic game in its current form. We are discovering that everything is actually a shade of grey. The most important thing you can do right now is listen to what is whispering to your heart. It won’t shout to get your attention so you must listen very closely to the messages you are receiving. You are immortal in a physical vessel which you decide is mortal. Your physical vessel does not need to die, but you have come to accept that it will, so it does. There is a balance of well-being that is certain for all of us. You all have a shared pain, and part of the process of integration is the understanding of why it exists. Illness is not always a sign that there is something wrong. To acclimate to new energy, many of you have chosen to push through these physical barriers first. You have been conditioned that you must all naturally contract diseases and take drugs to fix them. This is not so. You will know the eternal nature of your being, and you will enjoy putting down your burdens, and stopping the struggling to defend and guard against things you feel have gone wrong and must be made right. This is where most of your pain resides. You will learn to love knowing that you don’t have to fix your planet or anybody else, and that everything is just as it should be. You will come to know that your governments are exactly where they should be, as are all your diverse beliefs and desires. Things do not have to change for you to be who and what you came here to be. It is then, and only then, that all the “fixing” required by your egos will actually occur, but you will also know that in reality, nothing ever needed to be fixed. You will let go of any resistance and hold yourself in steady alignment. Will it not be a magnificent moment when humanity can just be, without having to be something else? This is where you are headed, because you are divine beings of light, and you have become masters at this game you call Earth. You no longer need to allow fear and resistance to subject your life to pain. You are moving away from this and transitioning more to love. Vital energy makes up about 70% of total subtle energy and sustains the physical body, mind, intellect and ego. It is distributed through subtle channels which connect at special points of intensity most popularly known as chakras. This constructs the physical (voluntary and involuntary actions) and the subtle body (conscious/subconscious mind, intellect and ego). It is prevalent throughout the body and supplies energy to the cells, nerves, arteries, lymph etc. Some concepts relating to the subtle body are partially understood by scientists, but the level of understanding has always been rudimentary. That is now changing. Spiritual or Kundalini energy lies dormant in a person until activated. These concepts cannot be measured with current technology. Those who have practiced meditation and spiritual principles at the qualitative and quantitative level have assisted in the continual grace of principles that leads these Kundalini forces on the right path. However, the shift in global frequencies and fifth dimensional concepts is allowing all of humanity to earn spiritual wealth simultaneously, and without the efforts that were once necessary. In the past, people had to work hard to amass spiritual wealth. Now, it will be as if all humans are born into spiritual wealth without practice. You have received a magnificent upgrade that is allowing this energy to be activated by simply embracing the being that you are. It is leading to spiritual growth at an accelerated rate. Imagine creating a unified harmony through 800 trillion cells and vibrating them into health and well-being. Humming itself produces overtones which can heal your mind, body and spirit. You will begin loving your voice and humming or singing from day to day to assist in accelerating your spiritual growth. It will come natural to you. You will begin feeling mystic silent overtones vibrating through your cells and body. This will also awaken your deepest desires to be unified with overtones of love, and help breakdown stiffness and pain, and facilitate your spirit body to flow. As you begin to break down the veil, you will realize you have a shared pain on this planet and it is not your own. It is connected to everyone and everything. There is beauty in that shared pain, and you will learn to see it for what it is through energetic harmony. You will move past specific body pain you thought was your own, when it was actually part of the collective. Once embraced, this pain will cease to exist. You will let this pain go because you will understand its origin. Many of you will heal from pain and disease in ways you will think are miracles, but it will be simply the miracle of who you are and nothing more. What scientific studies have failed to address on our planet is causation. They have tried through many different methods to obtain conclusive results in their scientific research through a countless number of double blind, placebo controlled and random studies, which are considered the highest standards for scientific experiment. We can tell you that there has never been one published scientific study based on this standard that has identified causation beyond sub-atomic levels. Yet it is precisely those levels that cause everything to manifest in the physical body as it does. Scientific studies can only derive correlations because they do not address energetic causation, which is the underlying mechanism behind every single experience and event whether physical or non-physical. 100% of your diseases are based on energetic components within your field. There is NO other cause of disease. Diseases are primarily third dimensional experiences, and will cease to exist when you learn to remain at higher vibration – and you will. This will be a big one for scientists, as many will learn in the coming decade to factor energetic principles as causation before initiating any study. You will all begin to have a better understanding of the effect of energetic resonance and the effects on all physical things. This will revolutionize science and remove many obstacles that have hindered scientific inquiry from progressing on the planet. The physics and the metaphysics will soon combine. You can only attract what is within your vibrational field. There are no experiences that you can obtain in physical form without attracting them from a vibrational perspective. That includes the most horrific experiences and the most beautiful ones. Consciousness-Shift-Chakras-the-Gateways-to-Consciousness-300x300What you will learn to do is accept relationships and experiences for what they are. People and experiences serve as a reflection to teach you something about yourself. If somebody says something that offends you, it is because your vibrational field contained an element that needed to be addressed. You will see these people differently. You will thank them for being that reflection and the transfer of energy that was necessary for you to recognize your own vibration. You will honor these people for coming into your life and teaching you what would otherwise be quite difficult to learn without their assistance. You will come to enjoy the effect that all people have on you, even those you now consider to be obnoxious, rude, insensitive, careless, ignorant, etc. These are qualities you have always judged in yourself, and the reflection is only there because you attract it. So start thanking your overbearing boss, nosy neighbour or rude coworker for what they bring to your energy field, because you’ve attracted them into your life for a reason and they’re only doing their job… to be the light you want them to be, and most of the time, it was a mutual effort and request. Perhaps one of the biggest victories awaiting humanity is the shift from polarity or duality consciousness, and the dichotomous right vs. wrong which has resulted in much of the conflict and suffering that exists between men and women, people of various races, the wealthy and poor, the strong and weak. Hierarchies have also been formed creating further degrees of separation, (good, better, best) where particular persons or events were rigorously judged within this context. This will end. All of humanity will begin to understand that all experiences and perceptions are neutral in nature, and it is only the ego which places an emphasis on good vs. bad, or right vs. wrong. This shift will be part of the grand awakening which is currently well on its way. You will begin uniting and accepting each other as equals, and this will be passed to your children, liberating successive generations from the shackles of duality. Humanity has already begun transcending this pattern. The hard part is over. The only thing left to do now is alter your expectations and enjoy the ride. You are a divine being of light, and your true nature will soon be all you know. The pace is now accelerating, and the coming changes will also be met by shifts in monetary systems, the political landscape, as well as modifications in social and economical infrastructures. This will happen sooner than later, but likely before the end of this year. Many of these events will happen simultaneously and when the greater cycles begins, you will know. It will be difficult, but that is the time to be centered and focus on seeing all the good that will come in the age of empowerment. You are a truly empowered human… own your mastery. About the author: Michael Forrester is a spiritual counsellor and is a practising motivational speaker for corporations in Japan, Canada and the United States. This article was reposted with permission from the kind crew over at preventdisease.com.